The clinic is about 15 minutes walk from Loughton station, which is on the Central Line. 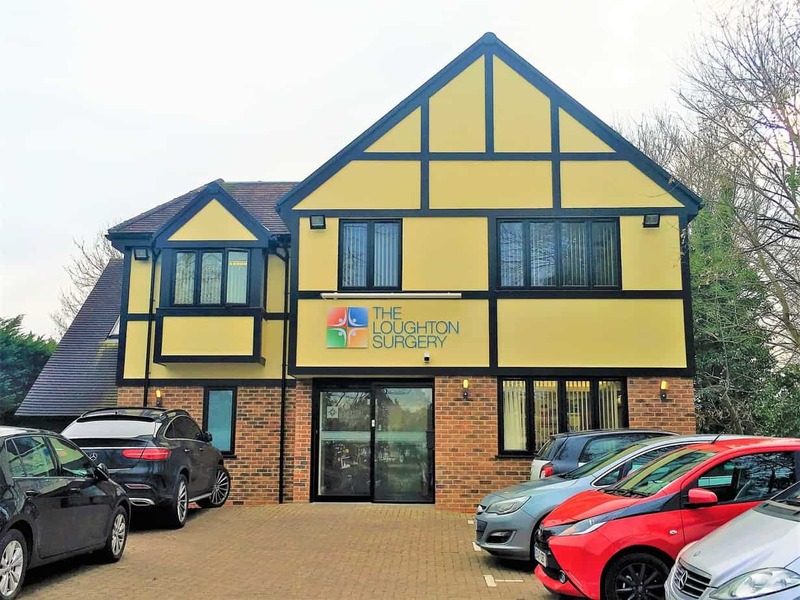 Our clinic is in one of the comfortable medical consulting rooms located on the ground floor. There is level access from the street. Loughton is conveniently located on the border of Essex and North East London. You can see our Microsuction in Loughton Essex location on Google Maps here. You find directions to Microsuction in Loughton Essex here. There is Pay and Display / Pay by Phone parking at Traps Hill Car Park, which is just behind The Loughton Surgery. It costs 90p for 1 hour, £1.80 for 2 hours, or £3.80 for all day. Our microsuction ear wax removal clinic in Loughton also serves clients in Buckhurst Hill, Chigwell, Theydon Bois, Abridge, Ongar, Chingford, Waltham Cross, Sawbridgeworth, Enfield, Great Amwell, Waltham Abbey, Harlow, Hoddesdon, Woodford, Barkingside, Dagenham, Brentwood, Hornchurch, Upminster, Walthamstow, Romford, Waltham Abbey, Cheshunt, Ponders End, Epping, Barkingside, and Broxbourne. Many people in Essex and North East London are finding that their local GP surgery no longer offers ear syringing. No doubt this is partly due to a lack of funding, but also because ear syringing is inherently less safe than ear micro suction. Possible side effects of ear syringing or irrigation are ear infection, hearing loss, tinnitus, perforation of the ear drum, and further impaction of the ear wax (i.e. the ear wax gets pushed even harder against the ear drum). Is it any wonder that people are going off walk in ear syringing in North London and are seeking out same day microsuction ear wax removal instead? Unfortunately, the sharp rise in demand has meant that NHS micro suction clinics are now unable to meet the need and waiting times are often over two to three months. Loughton is a town and civil parish in the Epping Forest District of Essex and is part of the metropolitan area of London and the Greater London Urban Area. It is located between 11 and 13 miles (21 km) north east of Charing Cross in London, south of the M25 and west of the M11 motorway and has boundaries with Chingford, Waltham Abbey, Theydon Bois, Chigwell and Buckhurst Hill. Loughton includes three conservation areas and there are 56 listed buildings in the town, together with a further 50 that are locally listed. Loughton is bounded by Epping Forest to the west and the Roding river valley to the east. After the Epping Forest Act of 1878 prohibited any further expansion of the town into the forest, the forest and the river have formed two natural barriers constraining any expansion westwards or eastwards, and consequently most of the growth in the last 100 years has been through infilling and construction of new housing estates to the north and south of the old town centre, plus the purpose-built suburb of Debden to the north-east. The Roding valley is somewhat marshy and the river is prone to flooding, so construction close to the river is very limited and the majority of the land around it has been designated as a nature reserve or left as open space parkland. Cricket - Loughton Cricket Club was founded in 1879, and plays in the Shepherd Neame Essex League. Its cricket ground, complete with thatched pavilion, and facing the war memorial, is one of the town's most important open spaces, and originated as a field named Mott's Piece. The newly redeveloped museum features six galleries, the opportunity to see behind the scenes, a lift making the entire building accessible and lovely new community space for all to use. Epping Forest High Beach Visitor Centre. The centre has information, maps and walks about the Forest, a bird observation window and gift shop – and volunteers are on hand to help visitors find out more about the wildlife in the Forest, where to go and what is on offer. What you can do to help protect it. Open seven days a week 10am - 5pm all year round including Bank Holidays (closed on Christmas Day & occasional training days). It’s the building with the glass frontage, between the Royal Forest pub and the Queen Elizabeth’s Hunting Lodge, a five to ten minute uphill walk from the Chingford bus and train stations. Small car park opposite and larger car parks at nearby Bury Road and Connaught Water.